ensuring we contribute to it positively. Keep up to date with all our goings on. 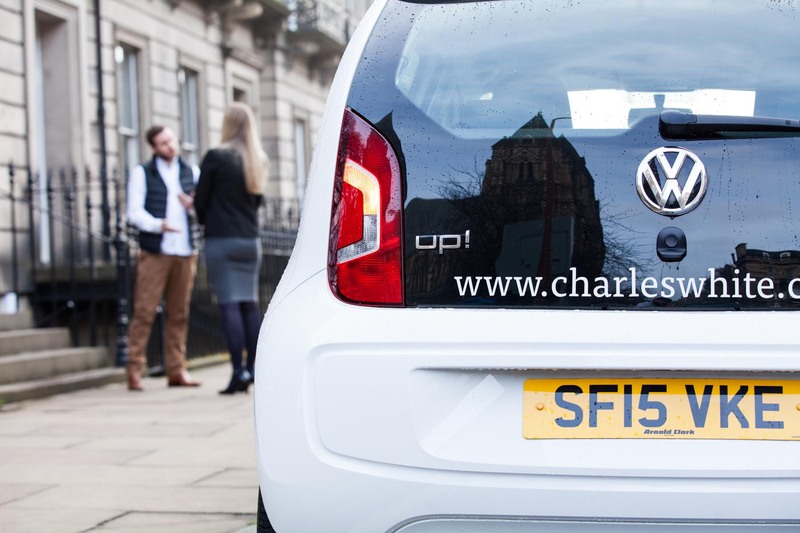 Charles White is one of the oldest and most respected professional property management companies providing service in both Scotland and N Ireland. We’ve been meeting our clients’ property needs for over 178 years. From simply cutting your grass to full management of your property you’ll find that our approach is characterised by expertise, personal service and a commitment to customer care. “To make a difference in the lives of our clients, team members and communities and to inspire others to do the same”. See how we can help you manage your property and what we can do for you. Pop into our office or give us a call. We'd love to speak to you and the kettle is always on. 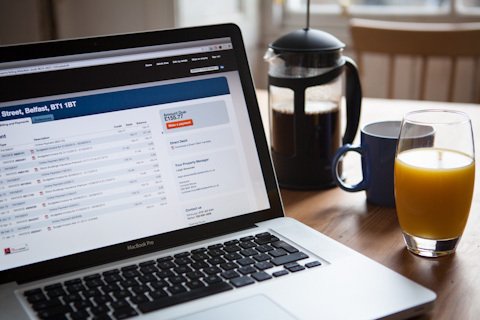 View your account, invoices, documents and make payments from the comfort of your own home. 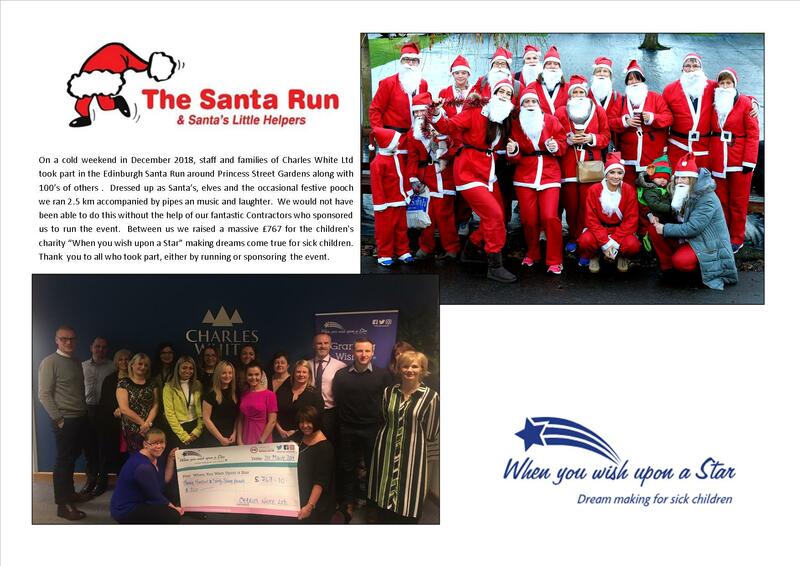 On a cold weekend in December 2018, staff and families of Charles White Ltd took part in the Edinburgh Santa Run around Princess Street Gardens along with 100’s of others. “May I take this opportunity to thank you and all relevant staff at Charles White for all your help and services over the years. I have always felt great comfort in knowing that you were handling all matters pertaining to the property in the most efficient and reliable way. Especially as I was not myself living in the property and so was even more dependent on your management and supervision of the building on my behalf. You provide a superb service altogether”. Charles White Ltd provides block management services to residential property clients throughout Scotland and Northern Ireland. Charles White Limited & Charles White (N.I.) Limited are appointed representatives of Arthur J Gallagher Insurance Brokers Ltd which is authorised and regulated by the Financial Conduct Authority. Registered office: Spectrum Building, 7th Floor, 55 Blythswood Street, Glasgow, G2 7AT. Registered in Scotland. Company Number: SC108909. 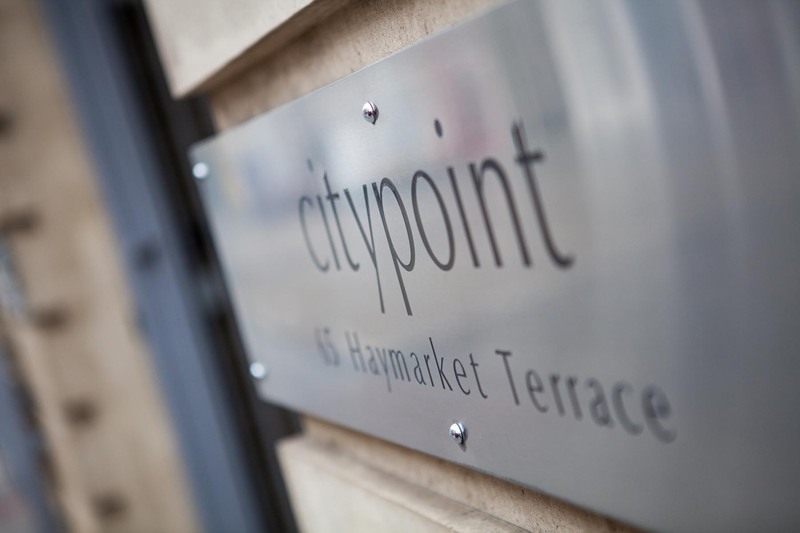 Citypoint, 65 Haymarket Terrace, Edinburgh, EH12 5HD. 3rd Floor Cathedral Chambers, 143 Royal Avenue, Belfast, BT1 1FH.